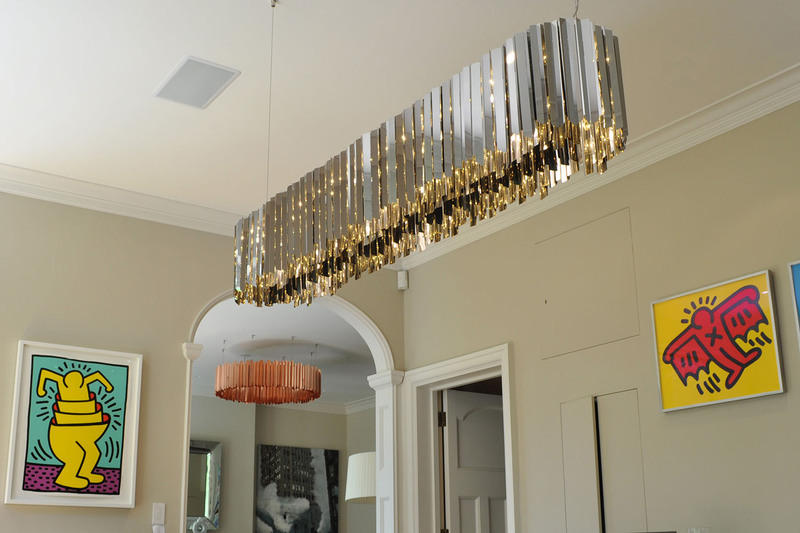 This Linear Facet Chandelier provides general illumination, and focuses light over the dining table of this modern interior. The mirrored exterior of the luminaire combines to create a unique installation. MaterialsPolished stainless steel, aluminium and acrylic.